Heat a fry-pan over low heat and add the mushrooms and cook for 8-10 minutes with the butter. Add a sprinkle of salt then continue stirring and cooking mushrooms until soft and brown. Combine onion, coriander, chili and a sprinkle of salt (and pepper if you want) and mix well. 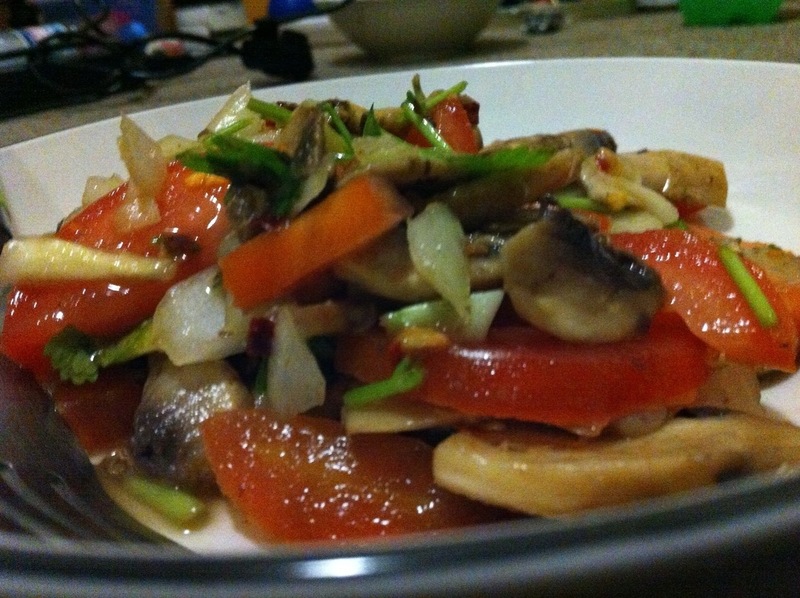 Remove mushrooms from fry-pan into bowl and mix with all other ingredients. 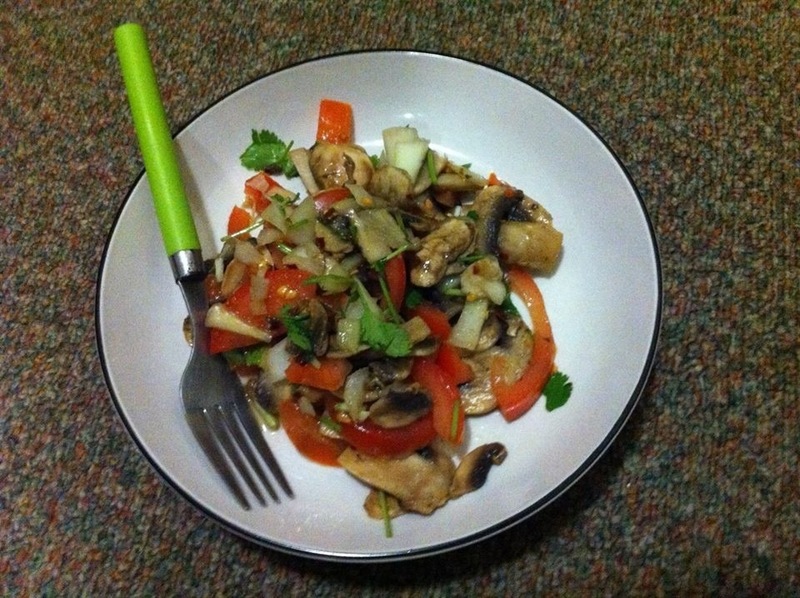 Can be eaten cold (which I also did because as I typed up this post the mushrooms lessened in warmth). I can imagine it tasting good in a sandwich or wrap with some grated tasty cheese. Next Post Spicy potato wedges. I swear, if I come to this blog ONE MORE TIME and this MUSHROOM WHATEVER post is the first thing I see on it I will never ever EVER visit this blog again. I apologise for my extended hiatus from WP. I am so flattered that you are interested in reading more from me. 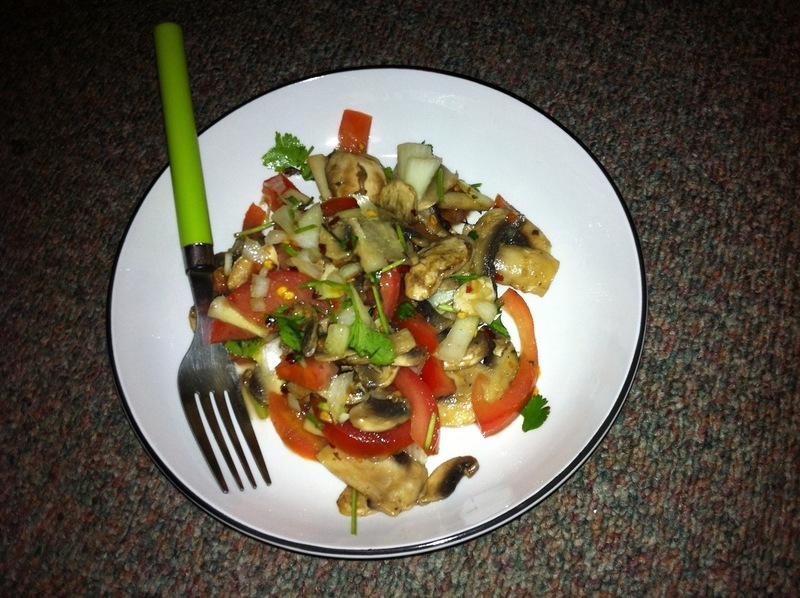 Don’t deny your love for mushroom salad though, Rae. Embrace it.